Gorgeous Orion is now available for adoption! This dog is amazing! 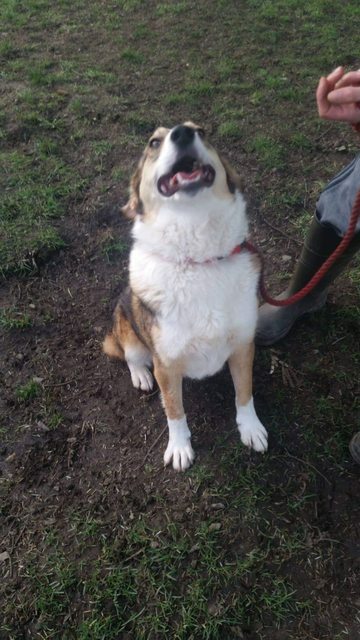 Orion is a 2 year old Cross-Breed dog who is very Collie like in energy levels and size. He currently fosters with me in the Highlands but can be transported anywhere for his perfect forever home. Orion gets on with all dogs he meets amazingly well. He fosters with 8 others male and female. He also fosters with 5 cats. He can live with dog savvy cats easily but will chase if they are nervous and run but would never hurt them. 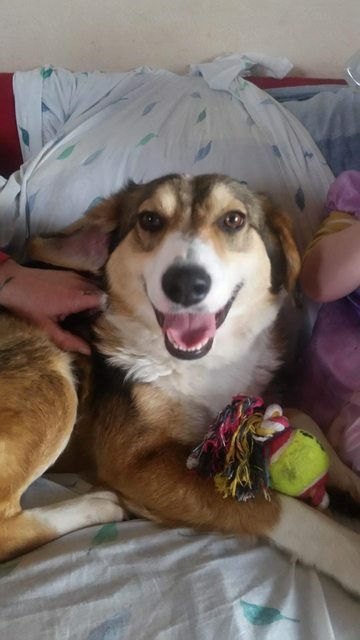 He is amazing with our children aged 2,3,6 and 11 but it is better he Is homed to a home with any children at least aged 7 as he can be mouthy and could knock little ones over. There is not a bad bone in this boys body. He just wants to love everyone and everything. He was hand reared from a day old in shelter which is why he loves people so much. 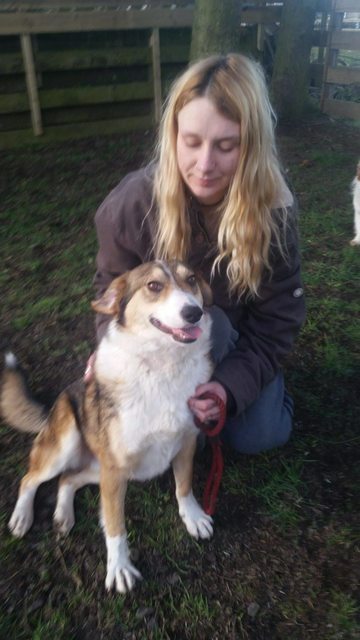 We will only home Orion to someone with at least one other dog already. He needs his pack and loves to play and wrestle with other dogs. His ideal adopter will put time into training and guiding him. He is still a bit of a mouthy chewy pup at the moment but wow his potential is incredible. He hangs on your every word. He is neutered microhipped and fully vaccinated. Home check and adoption fee applies.